Indiana BMV locations offer a variety of driver safety program courses. You can register for defensive driving courses and licensing exams at the Indiana BMV location nearest you. You can find the information you need on the website. With the click of a few buttons and a credit card, you can register for classes and pay the registration fees. Indiana BMV locations provide education for commercial drivers and casual commuters. Visit IN BMV online for a full list of the classes offered at each of the BMV locations. Several Indiana BMV locations now host courses in the Ride Safe Indiana Motorcycle Safety Program. This program is designed to educate both motorcyclists and drivers on the ins-and-outs of motorcycle safety. The coursework is easy to understand and will give you the knowledge you need to ride your bike in Indiana safely and within the rules and regulations of the road. Motorcycles can be dangerous, especially if you're not educated on how to ride and how to protect yourself from other drivers. Before you hop on your bike, check out one of the many classes offered by Indiana BMV.If you're unfamiliar with the BMV locations in your part of the state, visit the website and search "Indiana BMV near me." Within seconds, you can find "my bmv," which is the closest BMV Indiana facility to where you live. The site also lists all of the location hours and will alert you if one of the BMVs is closed for any reason. If you want to save the location, you first need to create an account. The online account process is easy, and it will allow you to save the locations, as well as your purchase history. This is a fantastic way to keep track of your bills and the money you spend at the BMV. 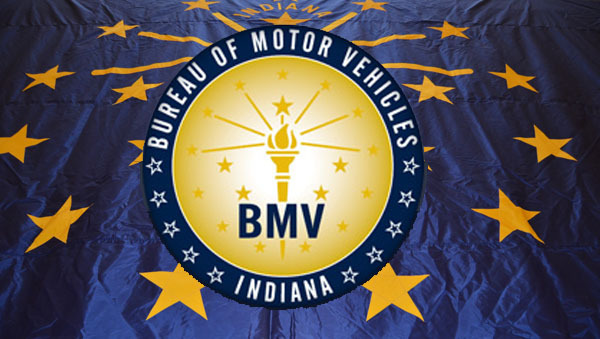 The Indiana Bureau of Motor Vehicles (BMV) website is a helpful resource for Indiana drivers. Visitors to the website will find an easy to use interface with plenty of links and resources. While you're on the site, you can renew your license plates, pay reinstatement fees, view your driving record, and order a specialty license plate, all from the comfort of your home. The Indiana BMV website has the answers to your frequently asked questions. Are you concerned that you may have been overcharged? IN BMV online now allows you to request overcharge refund requests. Are you planning on filing a class action lawsuit claim? If you are, you can find the relevant forms on in.gov BMV. Regardless of your question, the Indiana Bureau of Motor Vehicles website is equipped to provide you with the answers. If you can't find what you're looking for, call 800-457-8283 and ask to speak with a representative. The operator will help you get in touch with the department you need to speak with. The Indiana BMV website allows you to live chat with a State Information Center. You can also email a representative if you have a question that isn't urgent. Most of the information you're looking for is easy to find on the website, but some questions may require you to spend a little extra time researching. Representatives from the state will point you in the right direction and may be able to answer your most difficult questions. Indiana BMV online is a great resource for Indiana drivers. Whether you just received your license, or you've been driving for decades, you can benefit from the knowledge found on in.gov BMV. Visit the website today and find the answers to your questions.